Advertisements are always boring and everyone dream of surfing the Internet without being bothered by ad banners, especially when immersed in an amazing game or an eBook on your iPhone/iPad. 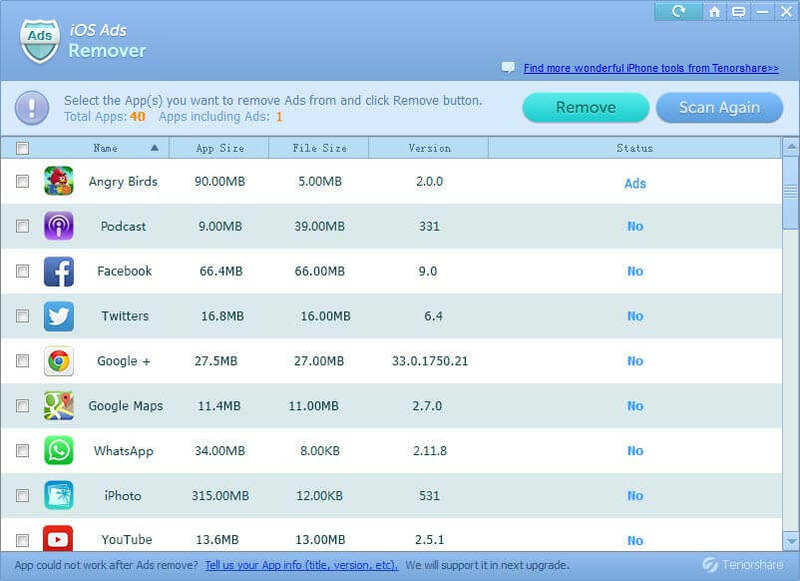 I'm going to show you the top 3 iOS ads removers which could help you get rid of ads including floating ads, full-screen ads, Google AdSense and more. The 3 iOS ads blockers are compatible with all iOS devices including iPhone 6, 6 Plus, 5s, iPhone 5c, iPhone 5, iPad Air, iPad mini with Retina Display, iPod touch 5G/4G and more. Some apps may need in app purchases in order to get rid of ads. However, you can still block all these ads with the freeware iOS Ads Remover. It is the world's 1st iOS app ads blocker that provides you a free way to remove any ads in iOS apps, such as Facebook, Twitter, Pandora and other apps. What's more, it fully supports all jailbroken and non-jailbroken iOS devices. The free iOS ads blocker is pretty easy to use. You just need to download and install it to your computer. 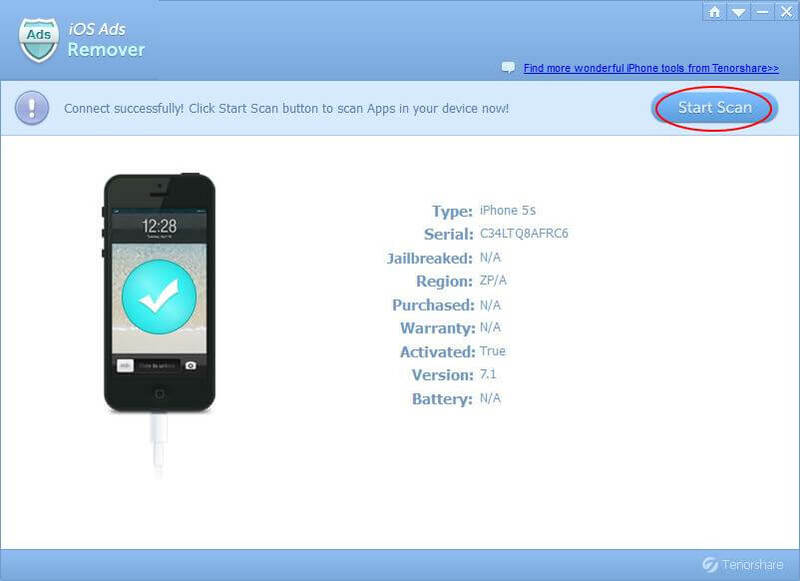 Then connect your iOS device to computer and let the program scan your iPhone, iPad or iPod for ads. Finally you can click "Remove" to get rid of ads. If you are still not clear, go to the page how to block ads on iPhone, iPad and iPod. Weblock allows you to block various types of online content. But remember that you must have Wi-Fi connection when using Weblock. You can use it to block mobile advertising (including in-app and video ads) in your browsers or apps. One thing worth noting is that Weblock is one of the few tools that enable you to block ads in various websites including Hulu Plus, Pandora, YouTube and other social media websites so that your personal information remains private. 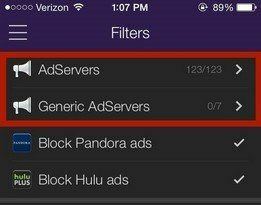 Check the post How to Block Ads for Hulu Plus, Pandora, YouTube, Safari and More in iOS for detailed guide of using Weblock. AdBlocker is a Cydia tool that blocks image-based ads in Safari and other apps. AdBlocker will block ads from being loaded and tries to optimize the space. It's similar to extensions for your Unlike iOS Ads Remover, it's not able to block ads from iAds or AdMob. Moreover, to use this AdBlocker to block iOS ads jailbreak is a must. Be careful when you jailbreak. The 3 iOS ads removers all have their own merits and demerits. You can try them all and decide which to use, which is what I did and finally choose iOS Ads Remover as a must-have for my iOS devices.